Many Buyers Forget That The Price Isn’t The Only Or The Last Negotiation Point In A Real Estate Bell Purchase. Once an inspection is completed, there can be issues uncovered that you weren’t expecting. This is a second negotiation in the contract process. We go over inspection results with our buyers and prepare documents that are required to request seller actions and corrections. Sellers do not normally have an obligation to undertake corrective action, so it becomes a critical negotiation, especially if the problems are significant. Our Maryland, Washington and VA real estate agents are always there to assist our buyers in these negotiations. As inspections and subsequent repairs are the biggest killers of real estate deals, buying a home in Maryland or Washington or VA gets quite difficult. Sometimes creativity needs to be applied to keep your home deal moving when the seller balks at your repair or corrective action requests. We’re experts, as we do this every day. We also maintain an extensive contractor list that can yield just the right contractor to get a job done at a price the seller will agree to. 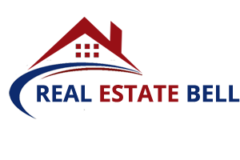 The key to keeping a deal going with inspection problems is for Real Estate Bell agents to be involved every step of the way, as it’s something we do hundreds of times every year. We’ll make sure that every resource is employed to keep your home purchase on track and gain every possible concession from the sellers.